Deposit £10, play with free spins Visit website for full T&C's. Deposit £10, play with £40 Visit website for full T&C's. Grab £70 on 1st deposit Visit website for full T&C's. Deposit £10, play with £60! Visit website for full T&C's. Get up to 500 FREE spins Visit website for full T&C's. Deposit £10 and play with £50! Visit website for full T&C's. Up to 500 FREE Spins Visit website for full T&C's. Deposit £10 and spin the Mega Wheel Visit website for full T&C's. 100% First Deposit Bonus Visit website for full T&C's. play now read review See website for full T&C. If you’re looking for the hottest new bingo sites or just want to check a review of an older site then we can help! Here at Bingo Sweets, we test out bingo sites in the UK with rigorous specifications, so you can learn all about them before you play. At Bingo Sweets we understand that it’s not always convenient to deposit to your account by credit card and that some people don’t like giving out sensitive information over the internet. That’s why we also give you a breakdown of the payment methods available on bingo sites. PayPal –There are loads of Paypal bingo sites that will allow you to deposit through your existing PayPal account. It’s easy, secure and it’s fast too, just set up the eWallet account and add a card that you want to pay with. Then log in through the cashier area and they’ll take care of the payment for you. Paysafecard –This is a voucher service, so you go to a store and purchase one before heading online to use it. Players purchase a voucher to the value of the deposit they wish to make then use the PIN provided to add it to their account. Phone Bill Payments –This payment method allows you to authorise an addition to your usual phone bill, which then goes into your bingo account. It can be used with top up phones too, it simply comes off the credit you have on there. There are two main options for these, Boku and Payforit, they differ in that they have different limits and work with different carriers. Just take these into account in order to find out which is best for you. It’s always a good idea to protect yourself online, whether that’s with one of these payment methods or something similar. There are of course, pros and cons to each, so make sure you’re aware of them in advance. There are so many sites out there and they’re all offering something different! One thing that they do to attract players is to offer bingo bonuses, which can come in a few different forms. We’re accustomed to seeing no deposit bonuses and welcome offers on sites, though some are choosing to mix things up with more innovative bonuses. Finding the best bonus can be like trying to find a needle in a haystack, as there are so many factors to think about. The biggest one that will affect your play time are wagering requirements, which restrict whether or not you can turn your bonus into real cash and what you’ll have to do for this to happen. Lower wagering requirements with a smaller bonus could be better than a larger bonus with high requirements, something that’s worth checking out. Players can also find some bonuses a bit restrictive, take free spins as an example. These come pre-defined with a game that you can play on, how much they are worth and a cap on what you can win. Then, your winnings are also subject to wagering requirements, so you might just prefer a monetary value of bonus funds instead. 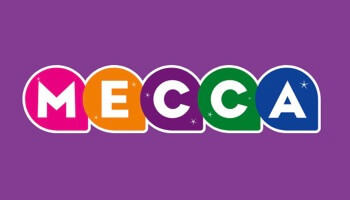 Many bingo sites UK allow newbies to play free bingo in a newbie room, or regular players can play for free in special rooms too. The winnings from these games will usually be bonus funds, which will be subject to the terms discussed above. 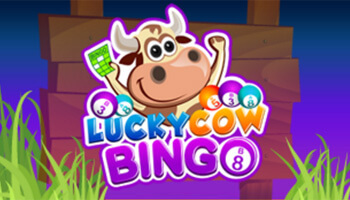 You can also enjoy free bingo as a depositing player too, many sites allow you to play in their free games for a set period of time after your deposit. They’ll usually take place at certain times of the day and have some restrictions as to who can play. These no deposit bingo bonuses are the ones almost every player is looking for, as they offer you a free chance to play online. Usually, you get them when you sign up and authenticate your account, you may be required to register a payment method to do so. These bonuses are dying off a bit now, with fewer sites offering them over time. There are alternate bonuses that you can look out for however, as you’ll always be able to get good value for money if you’re looking for it. If you’re a budding slot game player then you may look for these offers, as free spins can be given as part of a few different deals. Basically, you’ll be given a number of spins and a game to play on, then your winnings will be credited as a bonus. Do bear in mind that these have pretty significant terms, which include what game you can play on and even how much you can win on each spin. When you claim one of these bonuses, it will be because you’re a new player and have just made a deposit. They’re usually higher than redeposit bonuses and give you a percentage of your deposit back as bonus funds. Check for minimum and maximum limits with these bonuses. Now that a site has you as a depositing member, they want to keep you there! Redeposit bonuses are there to encourage you to come back for more, as they offer you funds on subsequent deposits. Another one for the regular players, these schemes total up how much you’ve spent on the site and use this value to give you a level. At each level of the VIP scheme, you’ll receive rewards that get more lucrative the more you spend. As we’ve mentioned, it’s all about assessing the worth of these bonuses and making sure you’re aware of all the ins and outs. Basically, the way this works is that each £1 you spend with a site will be converted into a point, then the more of these you collect, the higher your status will be. The types of bonuses that you can get from this offer will range from smaller freebies like bingo bonuses to more valuable things like merchandise or tickets to jackpot games. 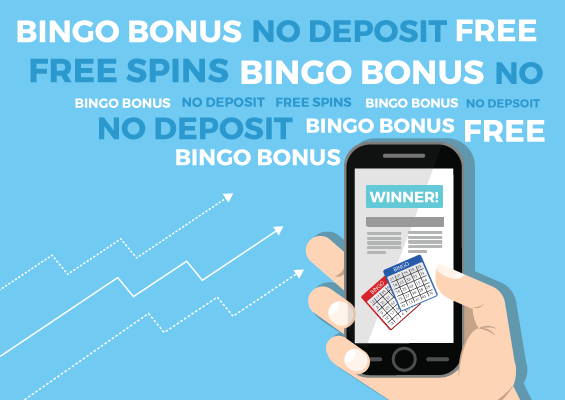 If you get your friends to sign up and deposit with a bingo site, then you can get a refer a friend bonus. These bonuses are your reward for signing up a friend and they can even be real cash on some sites. 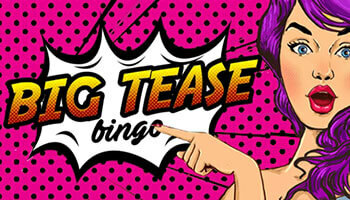 When you get emails and texts from a bingo site, don’t ignore them! They can include exclusive deals and bonuses that you won’t find anywhere else on the site. By clicking through on these select links, you will be able to go straight to the deal and claim it. Special promotions and ones specific to certain games can come along when new games are released. These are ones that you’ll need to keep your eyes on the promotions section regularly in order to take part in. Sometimes sites will offer bonuses for using a specific deposit method, like PayPal or Paysafecard. They’ll usually give you a percentage based bonus on top of whatever you choose to deposit. These are great reasons to try out these payment methods. If you support certain brands on Facebook and Twitter then you will get some fab perks. This can include additional bonuses, competitions and even exclusive access to games. We quite like this because it means we can keep up to date with the latest news from sites without leaving our Facebook feed. We always suggest that our readers take the time to make themselves fully aware of everything to do with their bonuses before they claim them. You can read all about bonuses on a site, though sometimes these terms can be filled with jargon that’s hard to understand. Just read through the terms and you can even get in touch with the contact team if you need further explanation. Traditional games that you’ll find on bingo sites are 90 ball and 75 ball games. 90 ball features three rows of numbers and 75 ball has a 25 square grid. In both of these, the person who dabs off all of their numbers first will win the main prize. 50 Ball Bingo – This game condenses 75 ball bingo slightly. It still takes place on a square grid, but there are less spaces which means the games are completed much faster. 30 Ball Bingo – This is an even faster form of bingo, with a smaller game board and fewer balls in motion. Get all the numbers on your card to win. 5 Line/Swedish Bingo – This is a variation on 75 ball bingo, but you win for each line of the board that you complete. There’s usually a communal jackpot with larger shared prizes for those that finish more lines. Joker Jackpot Bingo – Instead of getting a bingo card to dab off in this game, you get a hand of cards. Then, the cards are pulled out of the deck at random and you get to dab them off. Flash Fives – This form of bingo is pretty similar to Joker Jackpot Bingo, but you only get five cards to dab off to win. This makes it even faster! Deal or No Deal Bingo – This 90 ball game allows the winner to take on the banker and those red boxes. If you’re successful then you’ll win a whole lot more! Who Wants to be a Millionaire – After the bingo action takes place, the winner has to answer general knowledge questions to boost their jackpot amount. Britain’s Got Talent Bingo – This themed version of bingo has a total of six jackpots to play for. It’s a fun and glam way to play bingo. X Factor Bingo – The jackpots in this game are themed on the judge’s panel, with four jackpots to play for. The jackpots in this game are progressive and lots of fun to play for. Immortal Romance Bingo – Based on the dark, vampire themed slot game this certainly puts a twist on what you’d expect from a bingo game. Rainbow Riches Bingo – Get the luck of the Irish when you play this game! You’ll dance down the yellow brick road and enjoy some serious jackpots. These can come from different developers and UK bingo sites can boast massive libraries full of them. They can be used to get your hands on great big progressive jackpots or you can play with pennies for a bit of added fun.  The best sites combine games from high quality providers with a range of gameplay types and themes. In the past few years, slots have become more popular than ever before – with bingo players and with others too. These were once seen as mini games, but now they create an expansive genre of games which range from super simple to much more complex. We’re seeing more sites that exclusively offer slot games, for example, with no bingo on there at all. 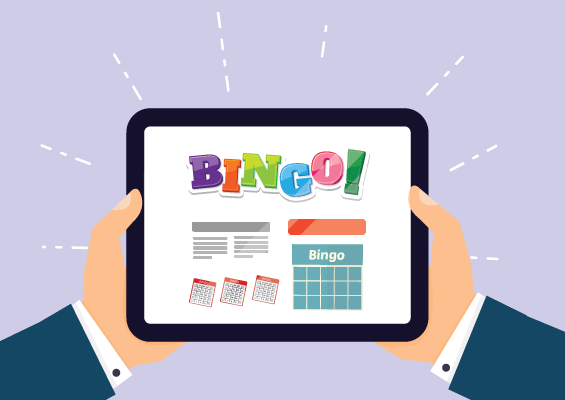 On existing bingo sites, we’re seeing more emphasis placed on slot games which can be good for bingo players – as it offers more choice in gaming. 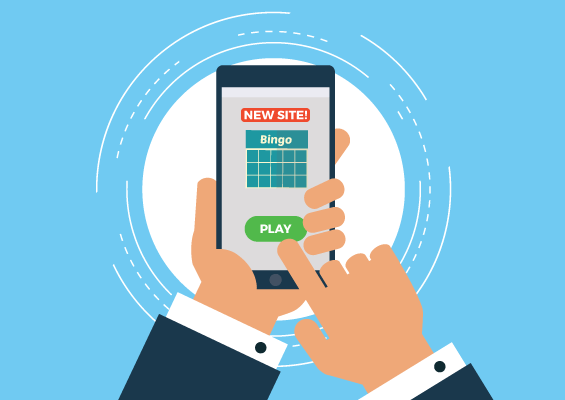 As long as the site still divides their time well between the attention they place on bingo and slots, this won’t be detrimental for players. The only case in which this would be a bad thing would be if the site started to neglect bingo jackpot games and promotions if they’re too focused on slot games. These can be pretty basic, with just three reels and one payline. They usually have symbols like sevens, cherries and bells to match up. They’re simple and good fun! These slots tend to have more advanced graphics and extra reels to play on. They’re more modern versions of the games and the themes are incredibly varied. A payline is where you have to match up symbols, running from one side of the reels to the other. Multiline slots can have as many as 243 of these, though you may be able to adjust these to as little as just one enabled. These games feature 3D graphics and really create an immersive experience for players. This makes a great gaming environment, which you’ll quickly find yourself enjoying. Bonus features can come in all shapes and sizes, from free spins to bespoke bonus rounds. These can be triggered with certain symbols or at random, it all depends on the game in question. They’re usually very rewarding too! Slot games can have progressive jackpots that make them worth millions! By just spinning the reels, you could become a millionaire. Some games even have multiple progressive jackpots available to win! Bonus Rounds – If there’s a chance to win extra cash in a bonus round then we’re happy to see it. These can end up giving you much more cash to splash in just a few seconds. Wild Symbols – These substitution symbols make it easier to win, so what’s not to love? They usually only stand in for regular symbols, not the special ones, but they’re still great to help you win. Multi-Paylines – The more paylines that are in on the action, the more chances you have to win. These paylines help you match up more symbols and release larger jackpots. Good RTP – The return to player (RTP) is how often you can expect to win, the higher the percentage the more rewarding the game is on average. Special Promos – When a new game comes along, we love to see promotions to celebrate it! Free spins, no deposit offers and boosted jackpots all get us in the mood to have a few spins on a new game. Starburst – This NetEnt game is a popular one on a load of bingo sites, even featuring in a lot of welcome offers. It’s a gem themed game that is both colourful and also very rewarding to play on. Fluffy Favourites – This cuddly slot is without a doubt one of the most played out there, with a host of animal characters that will entice you into playing. There are a few games in this series that can be played for your enjoyment. Sugar Train – This sugary sweet slot game comes complete with candy decorated reels, with gummy bears and lollipops abound. The bonus rounds in this game are some of the best and most lucrative around. Rainbow Riches – Travel to the Emerald Isle with this jackpot slot and meet a lucky leprechaun. This game is known for boosting players’ balances with additional bonuses. Gonzo’s Quest – Go on a serious adventure with this fab slot game, you might just discover some serious cash. This explorer will take you on a quest to find free spins and big multipliers. Bar Bar Black Sheep – This Microgaming classic has been revamped and now includes more fun than ever. With a bonus feature that can deliver 999x your bet, it’s no wonder players love it. Eyecon – This slot game developer specialises in cute, with games like Fluffy Favourites and Sugar Train in their catalogue. It’s all about bright visuals and enticing characters in their games. Bally Technologies – These developers have been around for a long time and tend to have quite traditional slot games. You may have seen their gaming cabinets in land based casinos too. IGT – With ever popular games like Cleopatra and Siberian Storm coming from this developer, it’s safe to say they like to walk on the wild side. If you like progressive jackpots then this is the developer for you. NetEnt – For modern slot games with cool twists, it has to be NetEnt. They like to produce series of games, like Fairytale Legends and NetEnt Rocks, which have multiple games in a similar style. Betsoft – The games from this developer are really varied, from bright animal themed games like Stampede to darker games like Blood Eternal. Microgaming – One of the oldest names in the business, there are hundreds of unique slots by this developer. Immortal Romance, Halloween and Six Acrobats are some of their top titles. This might be a tab you wouldn’t think of visiting in a game lobby but they can be rewarding. You can test your skills on games like Blackjack and Poker, which are more skill based than your average game. Many players enjoy this aspect of these games, as they find them to be a bit more challenging too. It’s always good to mix up your time playing bingo with different games as it helps to keep things interesting. When you play on casino sites, there are loads of basic games that you can watch out for. You probably already know the basics of many of these, like Roulette, Baccarat, Poker, Keno, Craps and Blackjack. There can be even more games than these though, like non casino games like scratchcards and instant wins. They can also have variations on classics like Deuces Wild, Double or Nothing or Texas Hold Em. At Bingo Sweets, we know everybody is unique and places different priorities on what they want from a bingo site. We also understand that sites should provide the same core offers in order for them to be considered the best by their players. Branding – Is the site part of a larger bingo network? If so, that usually gives an indicator of what you can expect on the site and can also be reassuring in terms of a site’s reputation. Check out the software providers for each site so that you can gauge the quality of games and better predict your gaming experience. 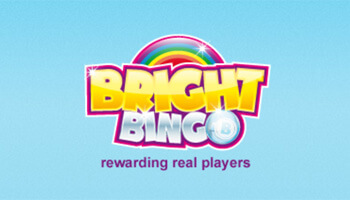 RTP – What are the Return to Player percentages for bingo, slot and side games on the site? If it’s in the high 90s, that’s great – you can look forward to hours of enjoyment and great winning prospects. Bonuses –Whether it’s a no-deposit bonus for simply signing up, a generous welcome bonus or continual redeposit bonus, it’s important to know what you can get for your money. For instance, if you’re planning on choosing a site for the long-term then continual redeposit bonuses may be more beneficial to you than a first-time gigantic bonus. Variety –Just how many games can you play with the site? Will you find yourself getting bored with the same selection? The finest UK bingo sites, in our opinion, have lots to pick from in this regard and show a commitment to adding new aspects too. Customer Support –Even the most experienced players can have trouble with bugs or things not working as they should. When this happens, it can be inconvenient to wait for customer support to come online if they don’t operate a 24/7 service. Think about how you’re able to get in touch with them too, as you ideally want to be able to live chat or even phone. Wagering Requirements – If you’re hoping to claim yourself some bonus funds, then you should always watch out for the wagering requirements. These can usually be found on the promotional page or on the T&Cs of the site, you can calculate how much you’d have to wager to turn your bonus into cash if you use this. Any site that we recommend to you here will have fair wagering requirements, as we always take this into account. Licenced and Safe – You want to make sure you’re safe online and that a site really is fair. Check the licence and reputation of a site before you go ahead and play there. That way, you’ll know exactly what you’re dealing with before you commit your cash. If they have additional security certification, then that’s a major perk as you know your details are safer. A social life – Getting social with your fellow roomies can be a whole lot of fun. You can forge friendships in chat games, team events, live games and on social media too. Bingo is a community experience, so don’t be shy – get to know your roomies! A big heart – Do you want to have fun and know you’re giving to charity? Loads of bingo sites have a charitable aspect that means you can play and even feel good about it. Some sites give a percentage of their overall profits to charity and others host special charity games instead. Intelligence – Bingo can even make you smarter! These games get your brain up and running, giving you something to focus on and get those brain cells working. This can give your brain a workout and mean that you’re getting more intelligent by the day. So there you have it! Go on and choose any one of the sites on our top list, and you’re guaranteed a sweet bingo experience!